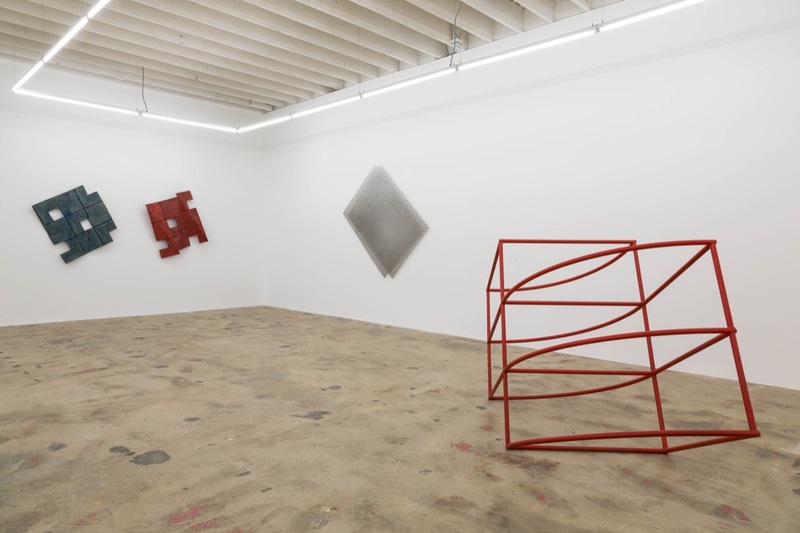 In his second solo exhibition at Gallery Diet, Miami-based designer Emmett Moore displays a fresh suite of works that build on his exploration of modernist and minimalist sculpture. 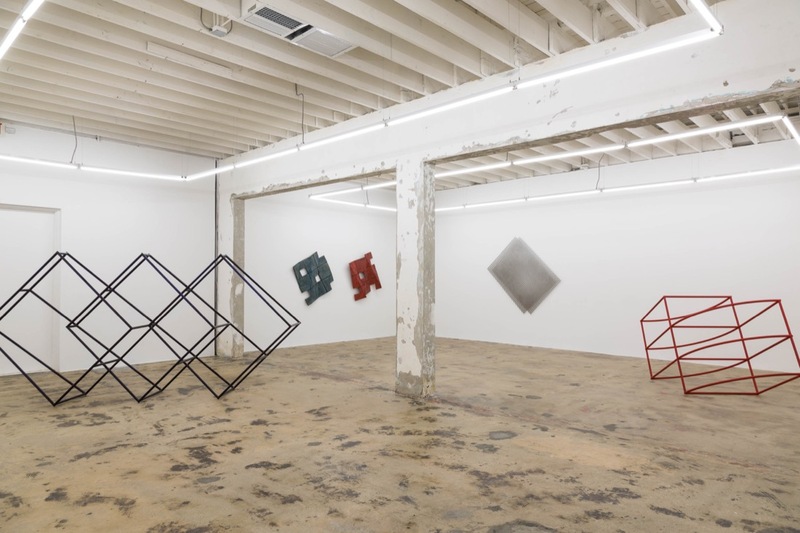 With a strong influence from Miami’s architectural landscape, comprised of elements such as breezeblock screens, geometric dividers, and hurricane shutters, Moore celebrates a uniquely “Miami” aesthetic that has become to define a large portion of his pieces in recent years. Presented as “Fracture”, the title of the exhibition refers to the surface fragmentation of forms, while also hinting phonetically to the combination of fractal and architecture. Not only does Moore reference “Fracture” through the visual breakage and distortion of traditionally linear-graphed elements, but also does so metaphorically in creating a collection of non-functional works, a notable departure for the designer who holds a strong background in furniture design. Such fragmented imagery is deployed through a duet of wall-mounted concrete panels of red and blue hues, poised at the center of the exhibit, that creates a folded, three-dimensional composition. A larger rendition of Moore’s folded concrete panels takes on an umber tint across the room. 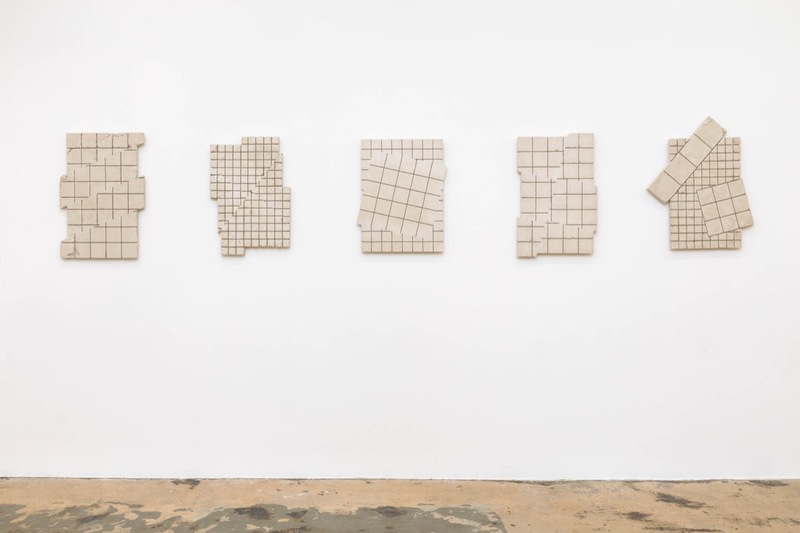 Moore also presents a rival quintet of white mortar tile grids that have been carefully interrupted at certain angles, to appear fractured, but are fit seamlessly together in a system of junctures and unions. Both series are created with a unique blend of materials that includes cement, water-based resin, fiberglass, and colored dye. 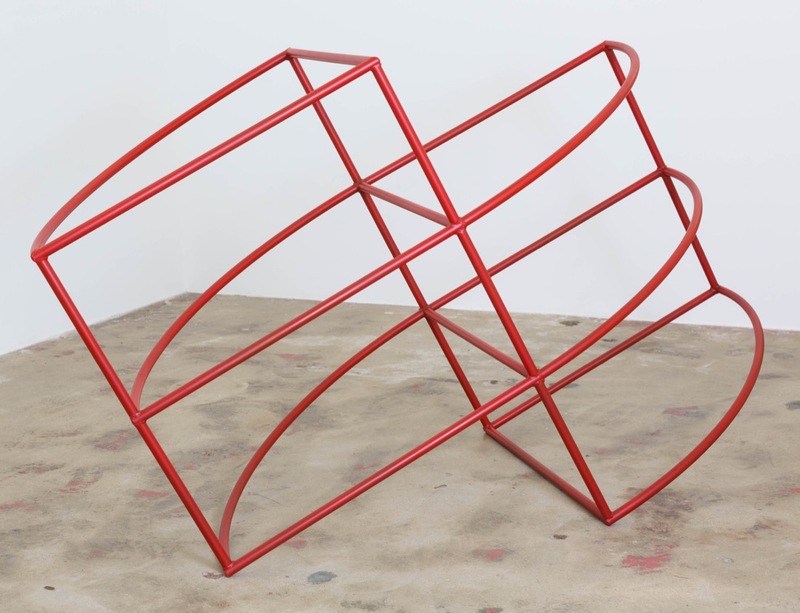 Not being limited to the the gallery’s wall space, “Fracture” showcases two freestanding sculptures created to mimic steel awnings, Moore’s most direct reference to Miami’s climate specific infrastructure. 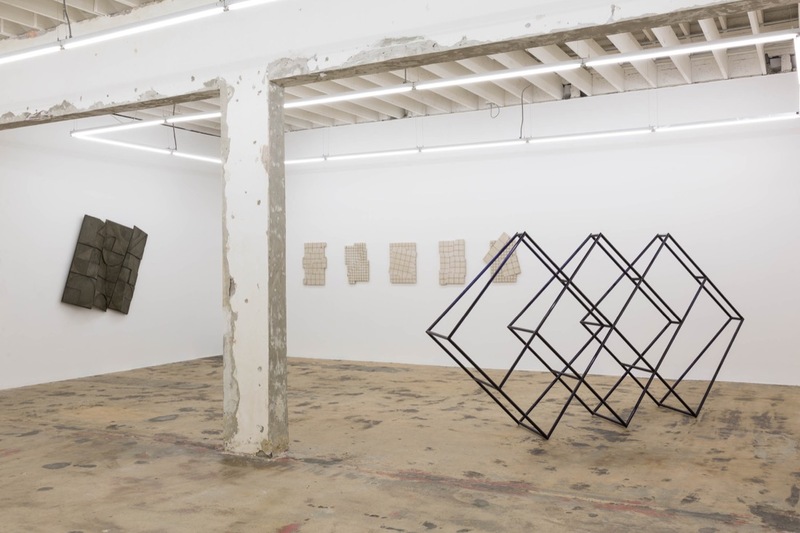 Assembled without its vital cloth mesh, the pieces recall dilapidated storefronts found throughout Miami and highlights the irony in an architectural element that has been created to withstand regional weather, yet has been destroyed by the very elements it was created to combat. Altogether “Fracture” represents a progression in Moore’s examination of Miami’s design, architectural, and visual landscape as its is manipulated through his own actions and those aided by geographical atmospheric conditions. Fracture now on view at Gallery Diet, 6315 NW 2nd Ave Miami, Florida. Images Courtesy of Gallery Diet, copyright Gesi Schilling.